Rodrigo Nogueira Pad work at Frota Academy with 7 years old Matheus Frota ! 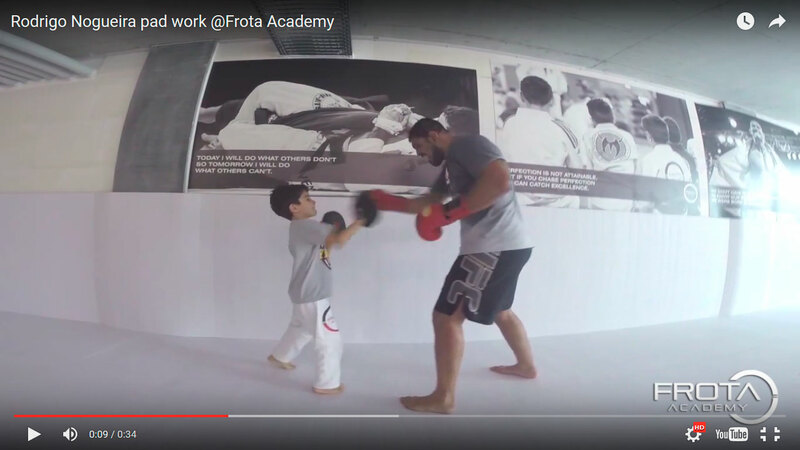 Home/videonews/Rodrigo Nogueira Pad work at Frota Academy with 7 years old Matheus Frota ! Once you get older, you realise that you can learn a great deal from your children. These youngster hold the future of our sport BJJ/MMA and manage to show us to see things differently every day. So our great grandmaster Antonio Rodrigo Nogueira has decided to change his training strategies and get some serious instructions from the son of the head-coach of the Frota Team Nogueira in Zurich.